Google’s News and Weather application, which is rather self explanatory, got a new update this morning that allows the app to show you suggested news stories in your newsfeed. As for stories it will suggest, it seems to show stories related to things you have searched for before. For example, on my feed, I get a lot of Google, Kevin Durant, and Android-related stories. If you search for a lot of movies, Barbie dolls, and Godzilla, then you can expect to see suggested stories covering those topics. 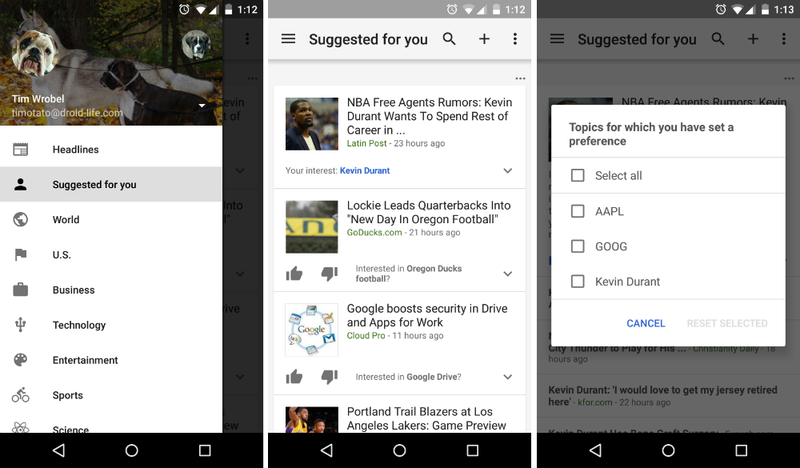 On top of the suggested stories, the app will also notify you when important news is pushed to your Android device.